Pro Silva Ireland welcomes the announcement of a new Forest Service Continuous Cover Forestry (CCF) support scheme. Pro Silva Ireland Chair Paddy Purser said the launch represented a considerable advance for Continuous Cover Forestry in Ireland and was actively aided in development by Pro Silva expertise. “This is a landmark for the development of CCF here and is recognition of the increasing demand for alternatives to clearfell systems amongst forest owners,” he said. It is also recognised the growing policy imperatives for the delivery of a much wider suite of services from forestry. “We believe that CCF offers the optimal way forward for the truly sustainable delivery of economic, social and ecological services from woodland management”. The pilot scheme will provide support for forest owners wishing to transition to CCF and was launched on Tuesday by Minister for Agriculture, Food and Marine, Andrew Doyle T.D., who said it would encourage forest owners to consider CCF as a management option. “This initiative will transform forests into uneven-aged and permanent woodlands enriching the biodiversity of these habitats and enhancing the landscape,” he said. As an established proponent of CCF for Irish forests, Pro Silva Ireland was invited by the Forest Service to provide advice in the development of the scheme and Mr Purser said the organisation had welcomed the chance to continue in its role as an educator on CCF management. “We look forward to the ongoing development of confidence and expertise in CCF practice in Ireland and this scheme will help landowners and foresters in obtaining this. We also look forward to liaising with the Forest Service with regard to the bedding in of the scheme and will continue to work alongside them in fine-tuning it over time,” Mr Purser said. It was important as the demand for CCF grew, that support services around mentorship, training and research were further supported, he said. 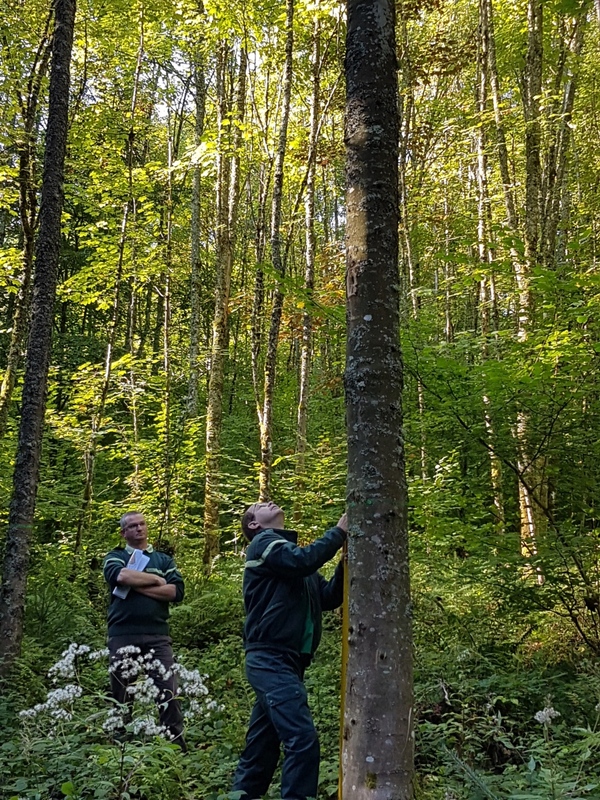 ONF Forester Marc-Etienne Wilhelm of Pro Silva Europe, was both a fantastic educator and a generous host to a Pro Silva Ireland study tour in 2018, here measuring a towering sycamore in a young mixed stand. Mr Purser acknowledged the mentorship Pro Silva Ireland itself had received in developing as an organisation. He said Pro Silva Ireland would encourage foresters and forest owners to engage positively with the new scheme and to utilise it as a support for genuine efforts in transforming woodlands to CCF. “No doubt we will be running future field days on sites that are supported by the scheme and look forward to continuing to share knowledge and support for other CCF practitioners in Ireland,” Mr Purser said. 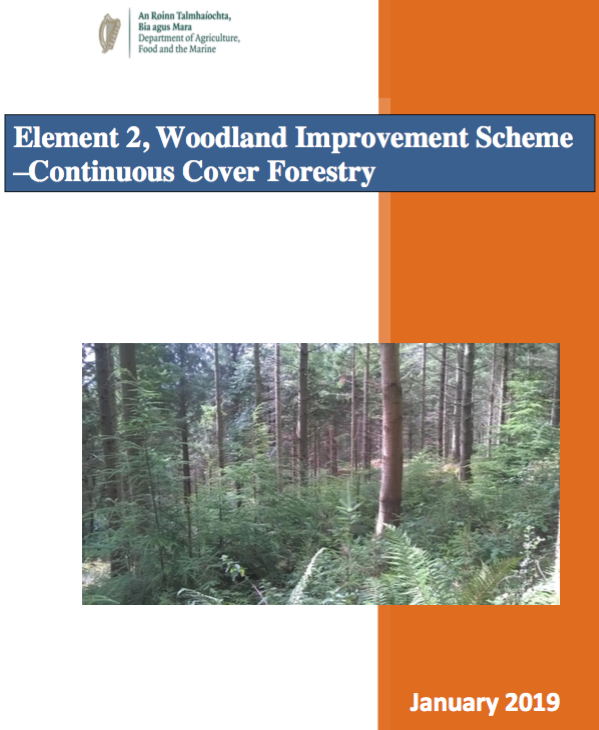 The new guidebook “Pro Silva Silviculture” (already in its second printing) provides very practical guidelines on implementing continuous cover forestry and close to nature forestry management practices for Irish conditions and can be bought online from this site. 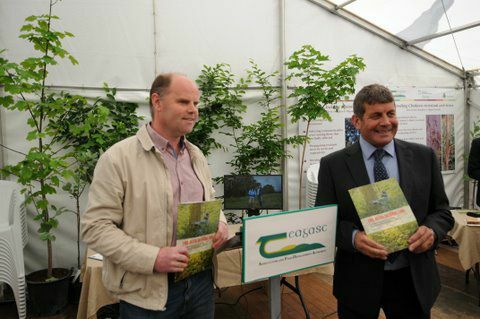 The guide collates practical expertise from Pro Silva Europe and Pro Silva Ireland and was launched at the 2017 Forestry, Woodland and Bioenergy Show at Stradbally by Paddy Purser, Chair of Pro Silva Ireland and the Minister Minister Andrew Doyle TD . The new scheme is great news. Well done for all your work in promoting CCF.